Phantom Regiment lines up to take the field at the 1990 DCI World Championship in Orchard Park, N.Y. Repertoire for the corps' "Dreams of Desire" production included some of the best of Romantic-era French composer Camille Saint-Sa?«ns including selections from his "Symphony No. 3," "Carnival of the Animals" and "Samson and Delilah." 1990 marked the first year in history that the DCI World Championships were held at Rich (now Ralph Wilson) Stadium. 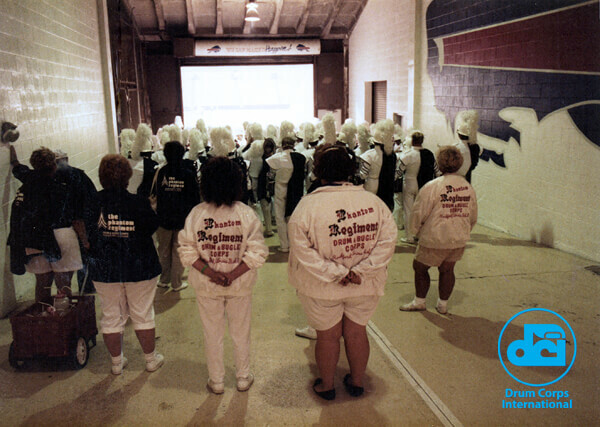 Drum corps returned to the home of the NFL's Buffalo Bills in 1995 and again in 2001. Phantom Regiment will once again perform at Ralph Wilson Stadium this coming summer during the DCI Tour of Champions Series event on Sunday, Aug. 5.